The 2009 International Marina and Boatyard Conference, scheduled for Jan. 25-28 in Fort Lauderdale, is going “green,” with efforts under way to provide a more environmentally friendly event. All seminar handouts will be provided on USB ports to save paper. The port plugs into a personal laptop computer or central computer station in the convention center so attendees can look through the material and print out only what they want in hard copy. Also this year, the conference’s new exhibition management company, Champion Exhibition Services, will contribute to the “green” efforts by using recyclable materials for signs, purchasing carpet containing recycled materials, using organic cleaning products and providing exhibitor manuals on CD and online. IMBC, sponsored by the Association of Marina Industries and the American Boat Builders and Repairers Association, is billed as the premier education and networking opportunity for marina professionals. “It’s the only conference geared toward marina and boatyard owners, operators and personnel,” says conference co-coordinator Rachel LaMarre. “It’s where everyone really gathers to talk about current trends, what’s going on, revised standards, new methods and techniques and networking. “It provides an opportunity for delegates to network with internationally acclaimed marina professionals and certified marina managers,” she says. LaMarre says registration, as of early November, was on par with the 2008 event, which drew about 600 people. 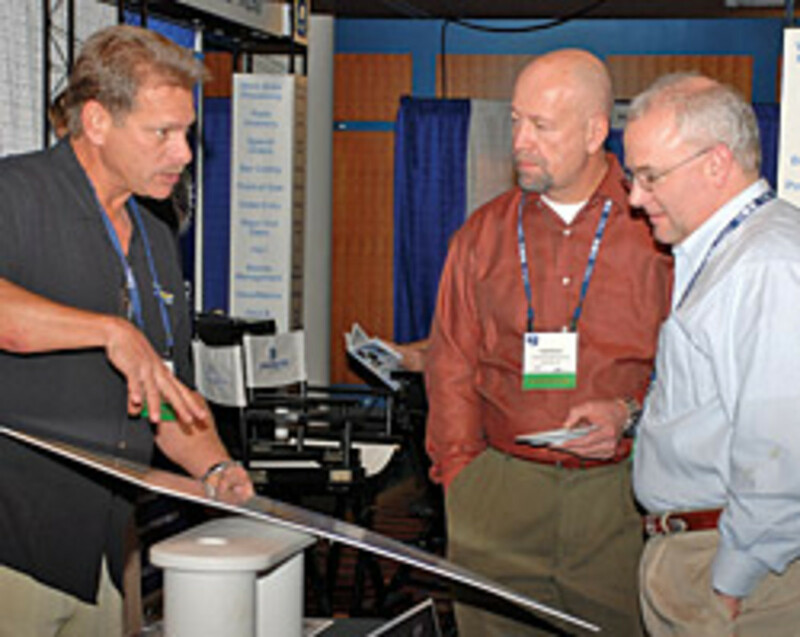 The conference features a dozen seminars on a variety of subjects, in addition to more than 100 exhibitors showing their latest products. The show floor is open for the duration of the conference. Seminar topics include: Maximizing Profits in a Unique Way, Marina Market Overview, Business Strategies to Overcome the Impact of the Energy Crisis, How to Evaluate Business Decisions in Today’s Tough Business Environment, and The Role of Engineering in Marina Redevelopment. In all, more than 25 industry professionals are scheduled to speak during the three-day event. In addition, Bill Yeargin, president and CEO of Correct Craft, will discuss team-building using personality assessment tools. He will speak at the industry breakfast on the final day of the conference. Following the seminars, a field trip is planned to three Southeast Florida marinas: Port Condominium, which features a vertical storage system; Harbour Towne Marina; and Pelican Marina, which is run by the Miami Dade Parks and Recreational Department. A dinner and networking event, featuring entertainment, will be held at the Pelican Marina following the tour. “It’s really the premier event for the marina and boatyard industry,” says LaMarre. For information, or to register, visit www.marinaassociation.org/imbc.